Financial Planning Assistance for Members and Chapters. Free access to financial planning tools, services and resources. FedEx and FedEx Office. Save up to 27 percent on select FedEx® shipping and business services. 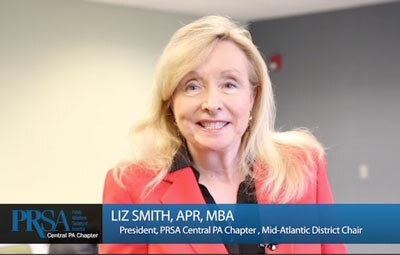 Also, be sure to update your member profile so other MyPRSA users can connect with you both within PRSA and other social networks. For more information, visit MyPRSA. Membership in PRSA gives you access to preferred rates on insurance, media monitoring, technology, relocation services, shipping, car rental and financial planning to lower your professional and personal expenses. Members may click here to access these benefits, MyPRSA login required. While new GEICO policyholders report average annual savings of $500, PRSA members qualify for an exclusive member savings opportunity. GEICO is also able to help you find additional coverage such as homeowners, renters, personal umbrella, and even motorcycle insurance. PRSA members receive preferred rates on insurance for themselves, their families and their business employees. Our insurance provider, Marsh U.S. Consumer, a service of Seabury & Smith, Inc., will help you choose the appropriate insurance. The program includes health, dental, life and business insurance. Additionally, Marsh offers savings on tons of vendors including apparel, beauty & fragrance, electronics, tickets & events, travel & leisure, and much more. GiftTree.com offers a wide assortment of high-quality gifts including wine baskets, gourmet baskets, flowers, fruit, personalized gifts and much more. PRSA members receive a 15 percent discount on most products. DigiClips has access to 210 markets throughout the United States and 80 International markets. The broadcast monitoring services include research, compilation and distribution of news stories in multiple formats: Digital files, DVD, CD, audio clips and transcripts. PRSA members receive discounts on all of these services and more. NewsCactus is an easy to use Web-based online newsroom software for public relations, marketing and business communication professionals. Developed by an Accredited public relations professional in 2006, NewsCactus incorporates RSS and social media tools along with multimedia and press kit management features. NewsCactus newsrooms are hosted on a dedicated, secured server as subdomains of clients’ websites (i.e., news.URL). PRSA members receive a more than 35 percent discount off of the standard monthly subscription fee of $199. If you are moving as a result of a job transfer or new career opportunity, let The Relocation Center (TRC) handle the details while you enjoy discounted rates and preferred services. TRC is a full-service relocation company assisting individuals, membership groups and corporations with all of their relocation needs. A personal move coordinator is assigned to all PRSA customers. PRSA members receive special rates and discounts on all services. Whether you’re looking for office and document support, or reliable and cost-effective shipping, you can count on FedEx and FedEx Office to deliver. PRSA members are eligible to receive special savings of up to 20 percent off select FedEx Office shipping and print services, and 10 percent off other select services at more than 1,800 locations nationwide. There are no costs and no minimum shipping, copy or print requirements to take advantage of this great member benefit. Enjoy special rates, considerable value-added discounts and the latest in technology, products and services with both Budget and Avis Worldwide. PRSA has teamed up with the Financial Planning Association® (FPA®) to offer members and Chapters unbiased and objective financial planning tools, services and resources. Search for a CERTIFIED FINANCIAL PLANNER™. Read monthly Financial Planning Perspectives articles. Arrange guest speakers at no cost for educational seminars on financial planning.